Why Is NASA Really Releasing Lithium Into The Ionosphere? It’s been scientifically determined that the U.S. Federal Government has been spraying lithium into the skies across America. 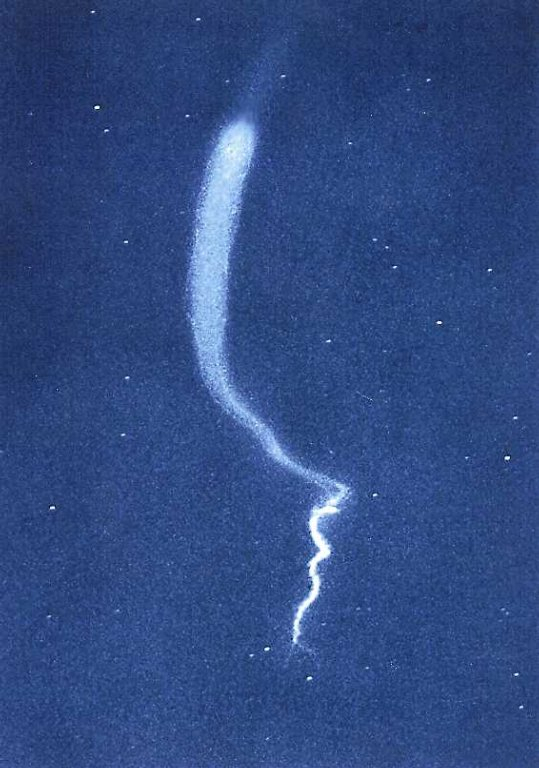 However, the pervasiveness of its use in the upper atmosphere is only now becoming known. 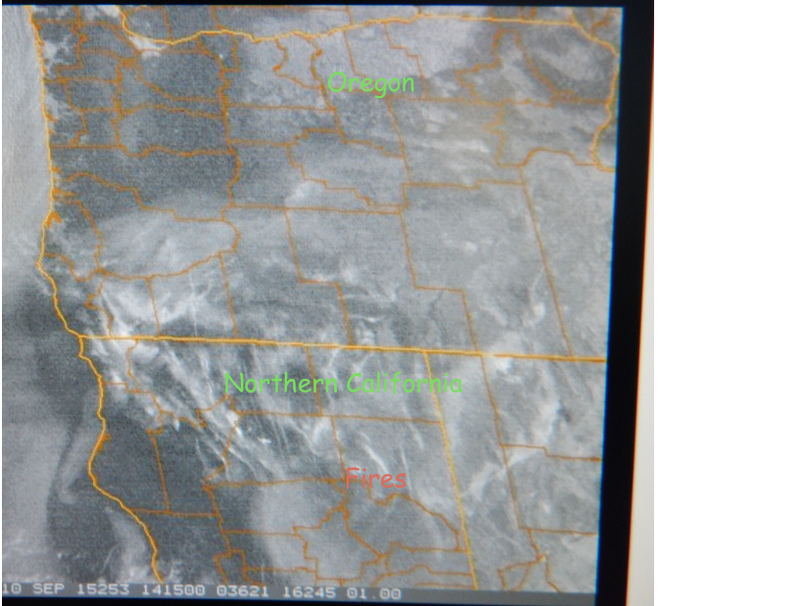 Why is lithium being used in the chemical geoengineering program over Oregon? SOTN recently became aware of video evidence in which NASA personnel freely admit to the spraying of lithium into the atmosphere. Their admissions appear to be so forthcoming and sincere that it is obvious that these front-line folks have no idea about what is really going on above their heads. What follows is NASA’s official explanation for the periodic atmospheric lithium releases. The project is studying neutral and charged particles in the ionosphere and how each affects the way the other moves resulting in currents in the region. The variations matter because all of our communications and GPS satellites send signals through the ionosphere. A disturbed ionosphere translates to disturbed signals, so scientists want to know just what causes the ionosphere to behave in specific ways. The taxpayers who fund NASA projects and space missions, who are required to pay their salaries, apparently are not important enough to receive the facts about their most consequential research endeavors. The true purposes and nature of various NASA enterprises, all of which are administered in the name of the American people, are rarely disclosed. Why? What is NASA hiding about practically everything they investigate in the solar system, in the Milky Way galaxy, and way beyond?! The BIGGEST Coverup in USA History: What Obama and NASA don’t want you to know! The following video has captured a NASA employee stating that Lithium is being sprayed in the atmosphere in order to conduct a specific type of testing. He readily admits that lithium is a highly inferior medium to use for the ongoing testing. Why, then, is NASA utilizing such a substandard material to carry out experiments overhead which they readily admit does not perform up to a basic scientific standard? Because the deliberate dispersal of lithium into the atmosphere has much more to do with experiments other than the one that these NASA scientists are aware of. Clearly there is an agenda behind the dissemination of massive amounts of lithium into Earth’s upper atmosphere. What exactly that agenda may be is anyone’s guess. Perhaps the medical and psychiatric uses of lithium are a good place to start looking. *The following transcript of the referenced video is quite eye-opening. For those who are unable to view the video, the key exchanges with NASA scientists are shown below. Video opens with a foreign speaking male voice. The photograph of plane spraying chemtrails sits on a document titled Chemtrails. The bottom of the screen reads: Experiment No. 437 … ‘Nobody can hide’. Female caller: When I called NASA yesterday and I spoke with someone in Washington D.C. office I was told that he is scared to death. He is going to denounce his citizenship and go back to the Philippines. Caller: You are the scientist here on the NASA website. Rowland: Yeah, I’m involved with the project. Caller: You are a scientist. You know this is experimental. You’ve never done it before? Caller: Oh, that’s not what it says on this article here. Rowland: It hasn’t been done since 1970, the lithium release in the daytime. Caller: Why would it be done now then sir? Rowland: For detailed information, if you could please send your comments by email. Caller: Will you respond to my email if I send them? Rowland: Happy to answer then yes. Caller: What is your email? Caller: I’ll be expecting an email back from you sir. I appreciate it. Rowland: It’s very important we communicate what we’re doing to the public. We’re very interested in making sure everyone knows what we are doing. We’re a civilian space agency dedicated to science and research and so on. So we’re very keen to make sure that the taxpayers know we’re doing and everything. Caller: When the article came out in the major newspapers including The Huffington Post there was no mention of lithium, not one. Not one mention of lithium until I heard the recording of the actual … I listened to it. 3:28 Screen image live inside NASA control center. NASA male voice says ‘Indicators of chemical deployed. TDOSS requested a clear the area clear and release the road blocks. NASA another male voice: We see the lithium from the air plane. NASA female voice: Roger that. NASA another voice: We’ve got good sine waves on the electric field. A Wholly ‘New’ class of Weaponry which is legal. Rowland: Right, there was lithium dispersed and I’d be happy to talk about it. I think you may be under so misconceptions about what we’re doing, but I’m happy to tell you any details that you need. Caller: It says in your article that you’re doing it for communications. Rowland: There are many reasons we’re doing it because we don’t understand how the wind in the upper atmosphere moves. Chemtrails … there are different kinds of chemtrails. Different trails at night. We use different trails during the day. The wind blows them around. They glow either on their own or from scattered sunlight. We take pictures and we can see how the wind trail moves around. It’s just like if you were taking a picture of an airplane contrail. You could use that to see how the wind was blowing. This is much higher altitude so we use these chemical trails. Caller: What is the purpose of knowing what the wind’s going to do in the ionosphere? Rowland: The purpose is really to understand our planet. It’s very fundamental science. Every day we know there is electrical current that flow over the head that is naturally there. They have been there ever since the Earth had an atmosphere and electrical field. And the wind is driven by the sun. The sun heats the atmosphere, the wind blows and every day that wind drives an electric current and we’re trying to understand what causes that. Simply how does it work in detail, and also importantly when the sun becomes active with lots of sun spots and lots of magnetic activity that changes the wind pattern and changes the electric current. We want to understand both what it is on a regular day when there is no solar activity and then what it is when there is a lot of solar activity. Caller: Is there some other way you can do it without dispersing the lithium? Rowland: We’re researching other ways. The lithium is actually harmless to the environment and we can show you more about that but it is tricky to use because it’s very faint. You can’t see it with your naked eye. You have to have special cameras to see it so we don’t like to use it for that reason. It’s hard measurement to make. We’re researching other ways to put censors directly on the rocket to measure the wind and those are ongoing. We’re trying to develop them now and one of the purposes of this mission was to do that. Caller: Well you explained it to me then I don’t agree with it but I appreciate you explaining it to me. Rowland: If you have detailed questions, anything you want. Caller: I am going to research a little more and I will email you. Caller: I wish more people would call, I really do. I’ve called my senators I’ve called my governor. You can’t get through to anyone sir you can’t get through to anybody. I go to my city council I live in rural North Carolina they don’t care. They laugh you out of there. There is no other recourse for us sir left, to talk to people directly and find out what is going on because we’re paying for it. Rowland: I don’t know how far you are from Wallops Flight Facility. Rowland: North of Norfolk VA. If you have a chance you might consider either going to Goddard Space Flight Facility which is outside D.C. There is Clemson University which is where all the chemical release work is done. You might contact them and they would be happy to explain what they are doing. The lead there is Miguel Larsen he’s been doing this for decades and can explain in detail what they’re doing and why it’s not an issue. As a government agency we would not be allowed to do anything that is harmful. He is under strict control and can show you around.